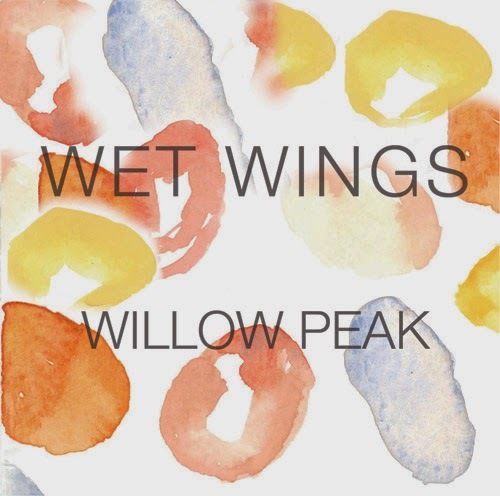 Lil' Chief Records: WET WINGS RELEASE MINI-ALBUM, WILLOW PEAK. WET WINGS RELEASE MINI-ALBUM, WILLOW PEAK. Lil' Chief is please to announce the release of the new Wet Wings mini-album, Willow Peak. Wet Wings will play in Wellington, Auckland, and Christchurch in July/August with a full 5-piece band. The party will be louder than the former two-piece’s Casiotone and vocal-loop-centric shows. “My favourite song on the album, ‘Brute’, is a story about two people living alone trying hard to love each other. When Darian first showed it to me I wasn’t sure how I felt about it, it’s so sad. In the recording I sing about the darker side of relationships, the admiration and fear you can hold towards someone,” says Lucy. The band will play at Auckland’s Golden Dawn on 5 July, Wellington’s San Francisco Bath House on 12 July, and the Dark Room in Christchurch on 2 August. The live shows will be upbeat, with drums, bass and synths reinterpreting the intimate songs on the album. Wet Wings is based in Wellington, and released its debut album Glory Glory in 2011. The band has played alongside like-minded outfits such as The Brunettes, The Ruby Suns, and Watercolours.